Scott and his team at Strider Security were lifesavers for my family, and I can’t recommend them enough. We hired Strider to help with an eviction and a dangerous family member, and to provide protection for my elderly mother-in-law. Scott and his team diffused an extremely difficult/dangerous situation, and managed to avoid an even worse situation. My mother-in-law grew quite fond of Scott, and loved having him come to the house! He was prompt, courteous, receptive, and answered all of our questions thoroughly. Scott is an awesome guy, and gave us peace of mind in a difficult time. Hopefully, you won’t need to hire security, but if you do, you should 100% hire Strider Security! You’ll be glad you did! We hired Strider Security for personal protection of a family member during a recent difficult period. The service was amazing and far beyond our expectations. What impressed us the most was the flexibility of the team in quickly accommodating changing circumstances. Most of the time they were as pleasant and comforting as could be, making everyone feel at ease and de-escalating threats quickly through humor, confusion, and other tools in their big bag of tricks; but when the situation called for it, they could quickly transform into very tough and intimidating forces of strength. We would definitely recommend Strider, and will use them for all our security needs. 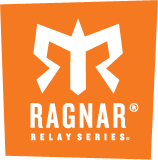 To whom it may concern: I confirm that I have dealt with Strider Security, during which time they have provided Ragnar Relay Wasatch Back with excellent support in the areas of not only security, but going above and beyond with helping our event succeed. Their work was a major factor in our race's success this past June, helping it to become the largest and most successful Ragnar Relay yet, with over 18,000 runners. I can confidently recommend Strider Security as an affordable and reliable security company, as well as experts in their field. Thank you again for keeping up with me throughout this Ragnar event – I felt so much better about my things, knowing you were keeping a close eye on all of that!! On June 22-23, 2012 we were hit by the Dump Fire in the foothills just west of Saratoga Springs. Due to fire danger, three subdivisions were evacuated for 32 hours. Officers from Strider Security volunteered their time to assist with securing the neighborhoods during the evacuation. The Saratoga Springs Police Department wants to thank Strider Security and their employees for assisting in this effort. We sponsor a large writers conference of over 500 attendees, and we have a bookstore that does thousands of dollars in business during our event. 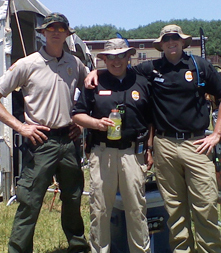 Strider Security provided a professional presence that gave us peace of mind. The guard was prompt, alert, and friendly with staff and guests, while remaining vigilant and on task. We were able to focus our attention on running the conference, without worrying about the bookstore. Strider Security provided excellent, professional service from the first contact in assessing our needs through the end of our conference. We highly recommend them for any event and will definitely use them again.